Some of us in the Sims community remember the Tragic Clown from Sims 1. Something about a painting, and a cheat that made him come or something. 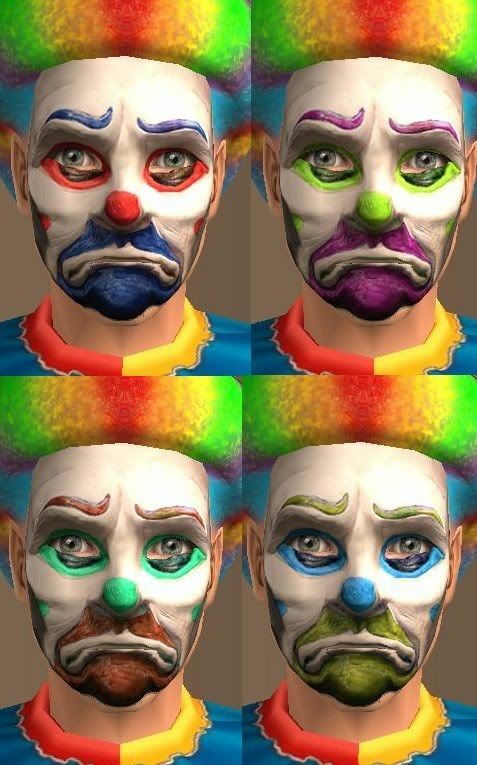 Anyway, hope you enjoy these costume makeups for making your own tragic clowns. Available for males only, all ages. Enjoy!